Advair (fluticasone + salmeterol) is an inhaled medication used to treat asthma and chronic obstructive pulmonary diseases (COPD) such as emphysema, chronic bronchitis, and bronchiectasis. While it continues to be one of the top-selling asthma medications in the world, Advair was given a black box warning in 2003 from the U.S. Food and Drug Administration (FDA) advising that salmeterol could potentially increase the risk of life-threatening asthma attacks. That was 2003. What does the research tell us today, and is there any need for concern? A black box warning is a precautionary statement issued by the FDA to inform the public that a medication can cause serious and even life-threatening harm. The "black box" refers literally to the boldly rendered box on the packaging information which contains the FDA advisory. Black box warnings are issued in response to clinical studies conducted after the drug has already been released. If any serious concerns are raised in the post-market research, the FDA will order the immediate revision of the packaging information. Media releases will be also dispersed to warn the public about the concerns. In 2003, a clinical study called the Salmeterol Multicenter Asthma Research Trial (SMART) reported that the drug salmeterol was linked to a small but significant increase in the risk of death and hospitalization in people with asthma, particularly African Americans. As a result of the findings, a black box warning was issued regarding any and all medications containing salmeterol, including Advair. The study further reported a similar risk of death and hospitalization with formoterol, a medication belonging to the same class of drug known as long-acting beta agonists (LABAs). The problem with the assessment is that LABAs have long been known to provide inadequate relief when used alone. Moreover, if used in this manner, LABAs can trigger the very asthma attacks reported in the study. It is for this reason that co-formulated drugs like Advair were first created. By adding an inhaled corticosteroid, the adverse effects of LABAs could be largely mitigated. In fact, when the study was later reviewed, it was revealed that individuals who used a LABA with an inhaled corticosteroid had no more or less risk of death or hospitalization than those who used a corticosteroid alone. Most researchers today acknowledge that the SMART trial was poorly designed and excluded factors that could have otherwise explain the anomaly. In 2016, the first in a new round of studies mandated by the FDA were released. Called the AUSTRI trial, the study evaluated the safety of salmeterol and fluticasone in 12,000 people with asthma, some of whom were as young as 12. The investigators further ensured that 15 percent of the participants were African American to better determine whether any adverse events may be related to ethnicity. What the investigators found was the risk of asthma attacks or other adverse effect was no greater for persons taking salmeterol-fluticasone than those who took fluticasone alone. LABAs should never be used without the use of a long-term asthma control medication such as an inhaled corticosteroid. LABAs should not be used in people whose asthma is adequately controlled on low- or medium-dose inhaled corticosteroids. 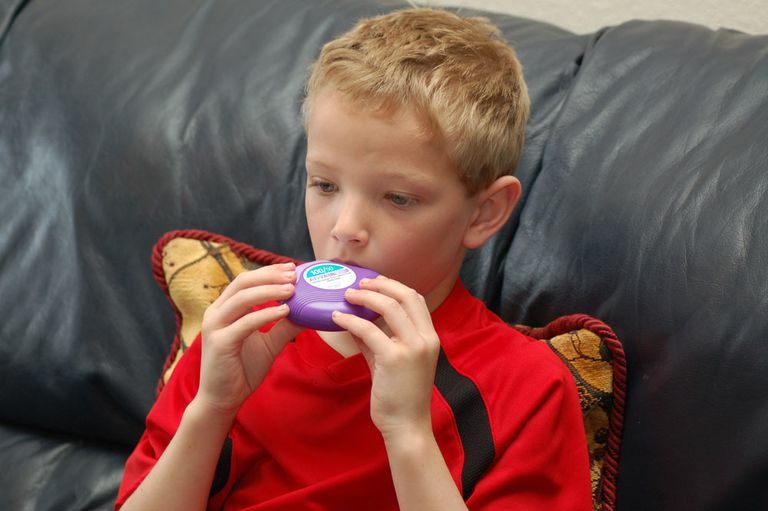 Children with asthma should only use a two-in-one product containing both a LABA and inhaled corticosteroid rather than two individual products. Cates, C.; Wieland, L.; Oleszczuk, M.; and Kew, K. "Safety of Regular Formoterol or Salmeterol in Adults with Asthma: An Overview of Cochrane Reviews." Cochrane Data Sys Rev. 2014; 2: CD010314. DOI: 10.1002/14651858.CD010314.pub2. Chauhan, B.; Chartrand, C.; Ni Chroinin, M. et al. "Addition of Long-Acting Beta2-Agonists to Inhaled Corticosteroids for Chronic Asthma in Children." Cochrane Data Sys Rev. 2015; 11: CD007949. Stempel, D.; Raphiou, I.; Kral, L. et al. "Serious Asthma Events with Fluticasone plus Salmeterol versus Fluticasone Alone." N Engl J Med. 2016; 374:1822-33. DOI: 10.1056/NEJMoa1511049. U.S. Food and Drug Administration. "FDA Drug Safety Communication: FDA requires post-market safety trials for Long-Acting Beta-Agonists (LABAs)." Silver Spring, Maryland; issued April 15, 2011.